Today at 5 in the morning I woke up listening to the hymns of Mahalaya (Beginning of Festival of Goddess Durga for the year). Every Bengali waits for this festival throughout the year. This is the time when we present offerings, socialize with friends and have a lot of sumptuous meals. Form today till 24th the streets of Calcutta would be lit up and there would be a flavor of upcoming festival amongst all the people. Had I been in Calcutta today I would have heard of the hymns from each and every household. But there is a saying that you can take a Bengali out of Bengal but you could never take Bengal out of a Bengali. So without much ado I too have started to warm up for Durga Puja and would be busy Pandal hopping ( even so there are limited nos. ) in Bangalore. So happy Puja to my Blogger and Reader friends all over the world. Take a big mixing bowl and add corn kernels. Mix all the ingredients well, check the level of salt and adjust. Serve immediately and enjoy this fresh, instant chaat. That really looks so yummy..will make it for my son..
Quick and healthy.loved the colours. Mouthwatering chaat!!! Makes for a nice & yummy snack! !Off to kolkata for navaratri? A quick and great snack! Must be juicy! 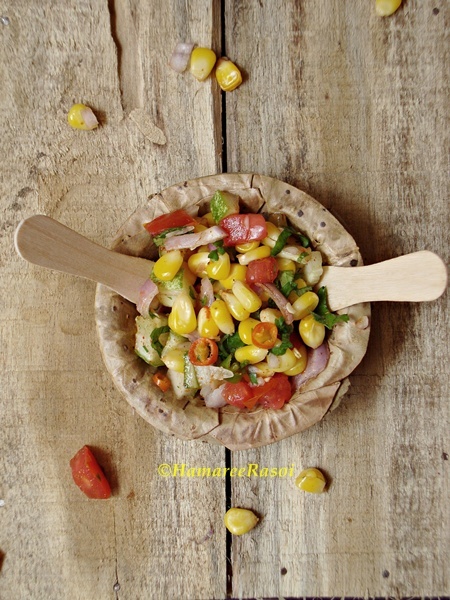 Healthy and delicious corn chaat. I remember last year, I got a chance to go Pandal hopping with one of my bengali friends in Hyd..it was great fun. Love this colourful and fabulous chaat. Healthy and Yummy.. Love it! So simple but healthy one..looks yummy..
Wishing you a wonderful Durga Puja.This quick fix chaat looks tempting. The corn chat looks really yum.Nicely presented. Looks delicious, my fav anytime!! Perfect snack for anytime and always healthy! 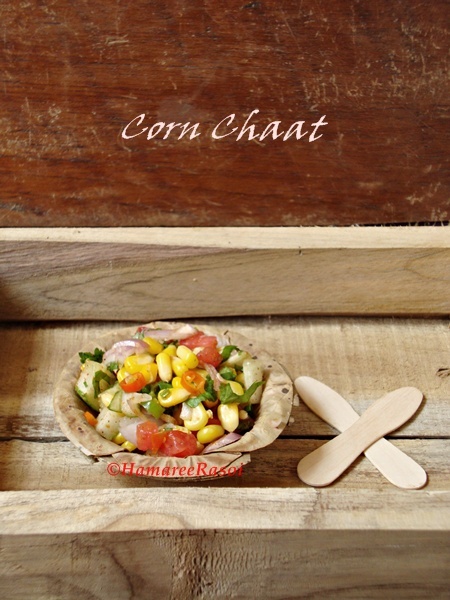 corn chat is a healthy & tasty option that can be made in a jiffy. It requires very less ingredients & it makes a nutritious snack for kids. 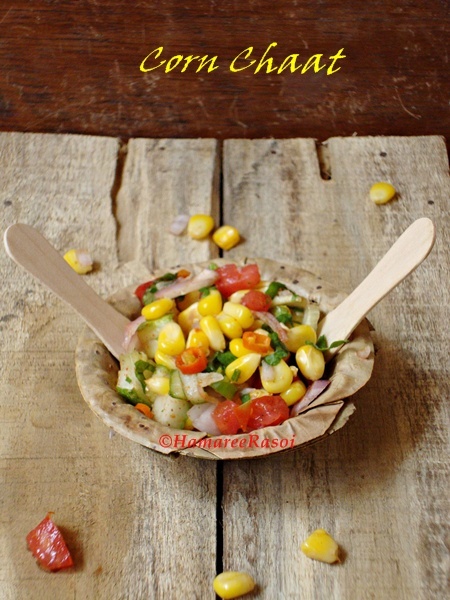 That's an yum chaat...simple in making too..
Corn chaat looks very light and yummy. True words on Bengali and Bengal....I too feel the same way whenever I see some Indian festival:) Happy Dussehra.